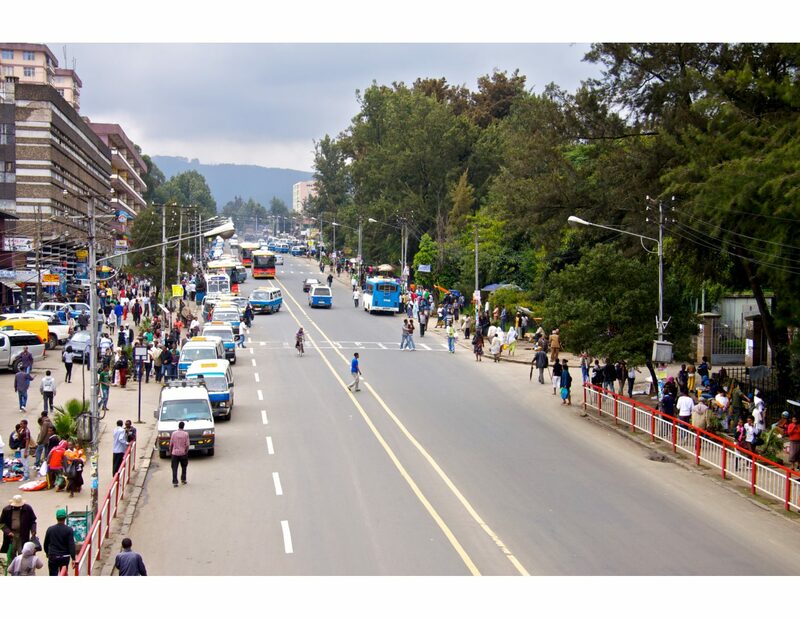 Photo: A view from King George VI Street at Arat Kilo District, Addis Ababa, capital of the the third fastest-growing economy in the world. The IMF has just published its latest World Economic Outlook, including a downward revision to its earlier global growth forecasts for 2019 to 3.3%. So, where is the fast growth coming from? Africa mostly, but also South and Southeast Asia. Note: Countries with population under 100,000 people not included here. This excludes the island nation of Dominica, expected to post 8% growth, and Cabo Verde at 5%. A compendium of the key numbers, quotes, and stories reflecting the economy of Saudi Arabia, curated from global and domestic news sources. Demand for Saudi Aramco’s inaugural international bond has skyrocketed to some $100 billion by mid-Tuesday, according to news reports. This represents an oversubscription of ten times the original bond offering, reflecting intense international investor interest in the world’s largest oil company. The IMF forecast for Saudi Arabia’s economic growth in 2019, announced in the latest World Economic Outlook. This marks a downward revision of its previous forecast of 2.4%, in line with a broader global downward revision in growth. The international benchmark Brent crude futures price as of Tuesday, April 8. This marks the highest Brent price since November 2018. Saudi Aramco’s net income for 2018. US Crude oil production in March, a global record. Additionally, the US exported more than 3 million barrels per day, a US record. The U.S has increasingly become a competitor in global oil markets and new US shale discoveries exert downward pressure on global oil prices. The amount Saudi Aramco agreed to pay to buy a 70% stake in state petrochemicals firm Saudi Basic Industries Corporation (SABIC) from Saudi Arabia’s Public Investment Fund (PIF). The new flight listing for the daily SpiceJet flight from Hyderabad to Jeddah (33) and Jeddah to Hyderabad (34), marking the first Indian budget carrier flying direct to Saudi Arabia. On April 20, SpiceJet will add a new daily flight between Jeddah and Kozhikode. “The trading in the US dollar is something that you don’t change overnight. I think that [has been] a norm in the industry for years and years so let’s not jump into some of those ideas … Opec did not claim that they will change the currency in trading.” UAE Minister of Energy and Industry Suhail Al Mazrouei speaking on the sidelines of the Middle East Petroleum & Gas Conference (MPGC) in Dubai. “The average PMI reading for the first quarter of 2019 was 56.5, indicating the strongest quarterly expansion in the non-oil private sector since the fourth quarter 2017.” Khatija Haque, head of Mena research at Emirates NBD. The Aramco deal is one of the most hotly anticipated debt deals of the year, marking the first time the Saudi oil giant has tapped the international bond market, reports Bloomberg. When Qatar, a rival Middle East nation, sold $12 billion in bonds earlier this year, it got a record $50 billion in orders, evidence of investor appetite for debt of rich, oil-producing nations. The deal is largely seen as Plan B to raise money for the country’s economic agenda after the initial public offering of Aramco, slated for 2018, was postponed until at least 2021. In effect, Saudi Crown Prince Mohammed bin Salman is using the company’s pristine balance sheet to finance his ambitions. Aramco, the world’s top oil producer, earlier this month received an “A+” rating from Fitch and an “A1″ rating from Moody’s in its first ever credit ratings, following 2018 earnings that dwarfed those of international oil majors, reports CNBC. Saudi Arabia has already seen formidable success in its recent tapping of the bond market: It issued $7.5 billion in sovereign bonds in January which drew an impressive $27 billion in orders. Saudi Arabia has “A1” and “A+” ratings from agencies Moody’s and Fitch, respectively, a sign of reliability and low risk for investors. Investors have been lured in by the disclosure of hefty profits for the oil company, backed by a high, “single-A” credit rating, the FT reports. Aramco has told investors that credit rating agency Moody’s would have given it a top-notch triple-A credit rating, if it was not for the close links to the Saudi state. Saudi Aramco provided the Saudi government with 63 per cent of its revenues in 2017 but the government still runs a deficit, and some investors fear further cash could be diverted away from the company, to the detriment of bondholders. The oil company has been meeting fund managers behind the scenes for several months to lay the groundwork for this debut bond sale. It even enlisted the help of veteran investor Mohamed El-Erian, chief economic adviser at Allianz and a former chief executive of bond giant Pimco, to consult on “technical aspects” of the $10bn offering. 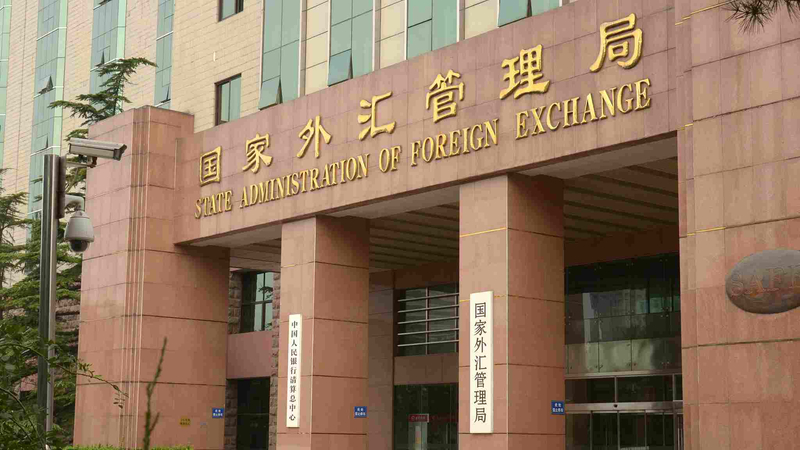 China’s foreign exchange reserves, on the back of a $9 billion boost in March. Yuan rise against the dollar this year, after falling 5.3% last year. The Nikkei Asian Review has an excellent cover story on the phenomenon – and there is no other way to describe it – of Jio, the company that brought low-cost mobile services to tens of millions of Indians. The story highlights the vision of Mukesh Ambani, India’s richest man, who has used his money-spinning Reliance Industries — focused on energy and petrochemicals — to finance his forays into the worlds of retail, telecoms and content. At the heart of the strategy was his Jio mobile service that gave tens of millions of Indians free mobile service for six months, dramatically pushing prices lower across the board while expanding connectivity. One Mumbai-based venture capitalist went so far as to call Ambani “India’s Elon Musk” for his vision and few will disagree that widespread mobile usage is transforming the world’s soon-to-be most populous country. Once known simply as the richest man in India, Ambani is now known for the dramatic way he has reinvented his family’s business in recent years. He has shifted Reliance Industries from heavy industrial operations such as energy and petrochemicals to softer businesses including telecoms, media content and retail. In the process, Ambani is also reshaping India. Since its launch in 2015 and its first sales the following year, Jio has started to reduce the yawning disparities between city and countryside, privilege and poverty, connections and capability. While his rise in business may have been built on controversy, today Ambani is perhaps the only national champion and true visionary the country has. Since Ambani entered the telecoms business, revenues in the Indian mobile market have shrunk by 35% in just over two years, thanks almost exclusively to the low prices and six months of free service offered by Jio, according to data from UBS. That is because Reliance has far deeper pockets than any of its rivals and has used its cash flow from petrochemicals and energy to subsidize newer initiatives under Jio, said Rohit Prasad, a professor of economics at MDI in Gurgaon. And for a deeper dive into India’s smartphone revolution, see Ravi Agrawal’s excellent book in the New Silk Road Monitor library. Malaysia Airlines Fate Hangs in the Balance: To Be Or Not to Be? 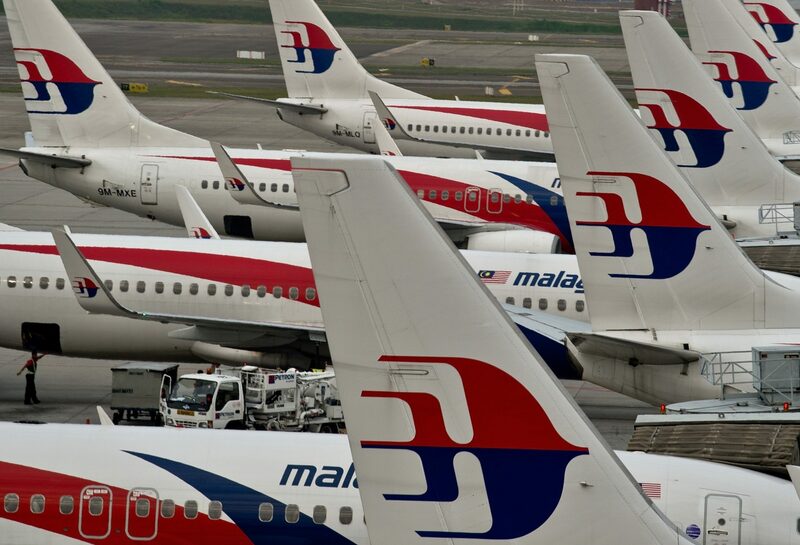 KUALA LUMPUR: The Malaysian government is considering whether to shut, sell or refinance national carrier Malaysia Airlines (MAB), Prime Minister Tun Dr Mahathir Mohamad said on Tuesday. The government was studying options for the national carrier, and a decision should be made “soon”, Mahathir said, when asked about analysts’ suggestions the airline be shut down or spun off. “It is a very serious matter to shut down the airline,” Dr Mahathir told a news conference at Parliament. 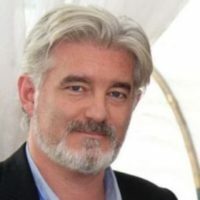 Jonathan Fulton, author of China’s Relations with the Gulf Monarchies and a Professor at Zayed University in Abu Dhabi, has a great new piece out in the Washington Post’s Monkey Cage analysis section on the growing Gulf Cooperation Council (GCC) geopolitical and security ties with Asia. My earlier summary piece focused more on the geo-economic ties, and my piece published simultaneously in the Arab News and Asia Times posited an Eastward Shift 2.0. Jonathan makes a compelling argument that the movement of the global economic center of gravity eastward means an inevitable geopolitical diversification eastward as well. Late last month, Saudi Crown Prince Mohamed bin Salman (MBS) visited Pakistan, India and China. Given the poor state of Saudi-U.S. relations, it is tempting to see this trip as a response to criticism in the United States of the murder of Saudi journalist Jamal Khashoggi. The underlying story of this trip is not about the United States and Saudi Arabia. It is about the ongoing structural shift in geopolitics, as the global economic center of gravity moves east and Asia and the Middle East draw closer together. Jonathan makes some great points in the piece and he has been a pioneer in the field of exploring China-GCC political and security ties. Read the entire piece here. 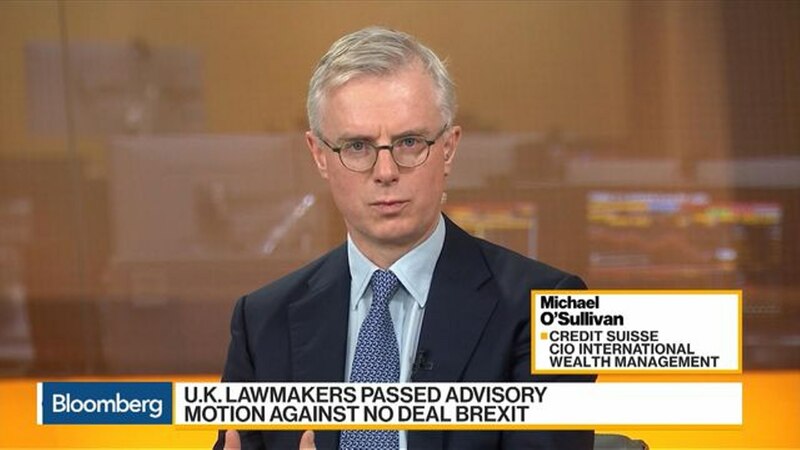 Michael O’Sullivan, the Chief Investment Officer of the International Wealth Management Division at Credit Suisse, is one of the smartest people I know on global macro issues and the intersection of markets, geopolitics, and the global economy. He also has a bent for history, and his weekly letters to clients and friends (my bank account puts me in the latter category) is always a great tour d’horizon of the issues, big and small, shaping markets. In 1900 the UK stock market made up 25% of the world market, the US accounted for 15%, Russia made up 6.3%, Austria nearly 6%, and South Africa 3.3%. 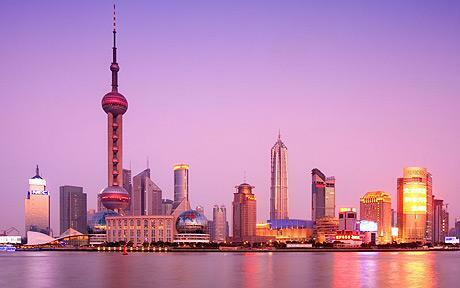 From then, the rise and fall of nations has left its mark on financial markets. Austria no longer has an empire and is a financial minnow now, while the 1917 Revolution in Russia saw its stock market expire and only make a comeback in the 1990s. The 20th century has been the American century and its share of the world stock market is 53% today. In 1900 Japan was a frontier market, whose later boom saw it swell to the high teens in terms of stock market size. It now accounts for 8% of the world market. Similarly, only a decade or so ago China was a stock market fledgling, today it represents 3.4% of the world equity market. The accelerated inclusion of Chinese stocks in the MSCI emerging markets benchmark will provide a channel for China’s share of financial markets to increase, and relative to its GDP, there is much room for growth. My own sense is that once China’s necessary phase of deleveraging is over (it could take over five years), it will begin to deepen its financial markets and the elaboration of this financial infrastructure will be one of the most exciting periods in finance in the next ten years. What about the UK? Today its internationally oriented stock market is only 5.3% of world markets, down from the 25% mentioned earlier. Similarly in 1900, one pound was worth close to 5 US dollars, a somewhat more impressive exchange rate than today’s 1.33. Readers of David Kynaston’s excellent books on the City of London will get a flavor of how economically powerful the UK was at the turn of the 20th century, and how vital London was as a global financial center. This has changed. Brexit, which I do feel is a response to relative economic and geopolitical decline, is expected by many to further curb the power of the City. Some solace may however be at hand as we now have a degree of clarity on the path Brexit could follow in coming weeks. On last Monday we issued an Investment Alert on Brexit, which, because events were evolving rapidly, I had to revise three times. Essentially, the legal and parliamentary procedural channels at Westminster provide for an extension of Article 50 if the UK Prime Minister’s deal is not voted through in mid-March. Politically, the risk that the Brexiteers might miss the Brexit train, and the opening up of the political center creates a set of incentives that could well lead to a deal. The road toward a deal also depends on the guidance of the UK Attorney General around the backstop and the ways in which the government begins to frame the future relationship between the UK and the European Union. Sterling’s latest leg higher underpins the sense that a chaotic no-deal Brexit is now much less likely, and we maintain our constructive view on the GBP. Moving on from Brexit, the reason for starting this week’s note with financial market history is that last week we launched our 11th CS Global Investment Returns Yearbook (more on the Yearbook in a subsequent post). My Credit Suisse Research Institute colleague Richard Kersley remarked that in the context of recent market volatility, the long run analysis of stock market history is a good guide to understanding the future. One such example is emerging market equities, which since 1950 have outperformed developed market equities by just over 1% per year. Emerging markets (EM) are still growing up in terms of their market structure in the sense that hard to access stocks (like China A-shares until recently), free float restrictions and often poor liquidity have meant that a broad range of investors have often found it hard to replicate EM growth in portfolios. Still from a portfolio point of view, one point the Yearbook makes is that the relative volatility of emerging markets has fallen in recent years (perhaps because developed countries are themselves more shaky), and the relatively low correlation between emerging and US market equities means that EM offers a source of broad diversification. One area where the research in the Yearbook, running back through the past 119 years, is inconclusive is whether poor years in the equity market are followed by good ones. This is often the case for emerging markets but for larger developed markets we don’t see a “positive serial correlation,” as academics might put it. As we now head into March, the global rebound of the past two months has been extraordinary, and reassuring to the degree that it signals a slowdown rather than a breakdown in the economic cycle. There are other issues to worry about, however, which we have flagged in this note in recent weeks, including record high debt levels, a shaky market micro-structure, the need to leave Quantitative Easing behind and generally poor productivity. I have not mentioned geopolitics and policy volatility, to which markets have become inured. So, as markets have moved energetically higher, we prefer to strike a more circumspect, prudent tone and maintain our neutral view on global equities. 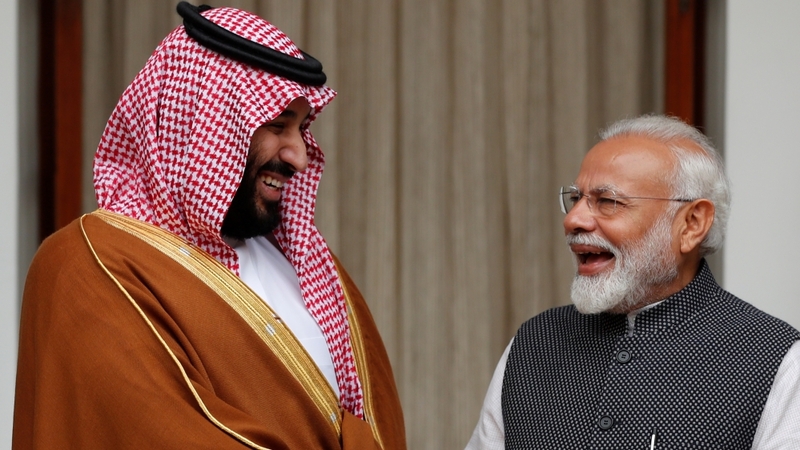 February 26, 2019 – Saudi Crown Mohammad bin Salman’s Tour of China, India, and Pakistan Accelerates the Kingdom’s Ongoing “Eastward Tilt” and Poses the Question: Have We Reached a Tipping Point? Saudi Arabia’s Crown Prince Mohammad bin Salman’s tour of China, India, and Pakistan has been described by many commentators as the Kingdom “tilting eastward.” The reality is, however, that Saudi Arabia has long viewed Asia as vital to its future and has been “tilting eastward” for more than a decade. Shortly after ascending to the throne in 2005, King Abdullah of Saudi Arabia chose China and India as his first two stops as head of state, and Saudi Aramco launched its Asia regional headquarters in Beijing as far back as 2012, while opening an office in Tokyo in that same year. In late 2017, Saudi Aramco opened two new offices, one in India, and the other in Singapore. It is also worth remembering, amid all of the hoopla surrounding the China and India visits, that Japan and South Korea have been long-time partners of Saudi Arabia, major oil buyers since the 1970s and significant investors in the Kingdom. These are not new relationships, but ones built as all three countries were rising and developing. 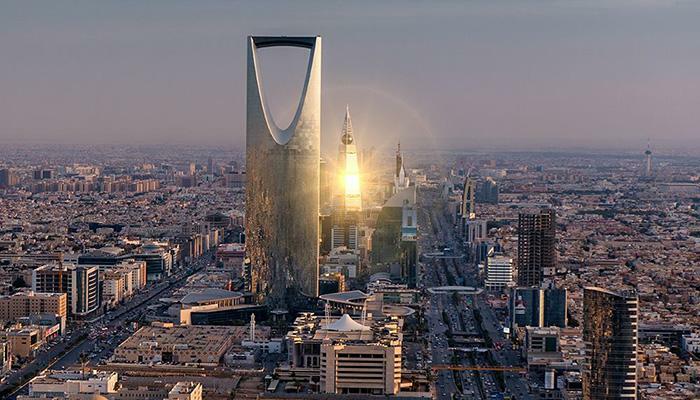 Saudi Arabia is the number one destination for South Korea’s foreign investment worldwide and, more recently, Saudi Arabia has made high profile investments in South Korean companies, including a $1.1 billion deal to acquire 38% of steelmaker POSCO. As for South Asia, Saudi Arabia’s managerial ranks in banking, consulting, and major enterprises are heavily stocked with senior executives from Pakistan, while India has been a major oil buyer for at least a decade. Still, while Saudi Arabia’s economic relations with key Asian countries have been growing ever since the rise of Asian economies (The Asian Century will be fueled by Arabian oil), the visit of the Crown Prince might be seen as a tipping point or at least a high octane accelerator of the Eastward shift. The kind of language used throughout the visit from all sides went beyond the usual diplo-speak toward talk of long-term strategic engagement laced with effusive praise. And the numbers and nature of the deals signed and agreements reached provide substance to the many bear hugs and smiling shots of the Crown Prince with senior Asian leaders. Here’s a round-up of some of the key deals, quotes and MOUs signed during the three nation Asian tour. Protocol: The Crown Prince arrived in Islamabad escorted by six Pakistani fighter jets and landing to a 21 gun salute. Pakistani Prime Minister Imran Khan broke protocol by personally driving Prince Mohammad bin Salman from the air base to the PM’s palatial complex, as seen in this video from Pakistan’s SAMAA TV. The Crown Prince received Pakistan’s highest civilian honor, the Order of Pakistan. Investments: Saudi Arabia pledged $20 billion in investments in Pakistan. 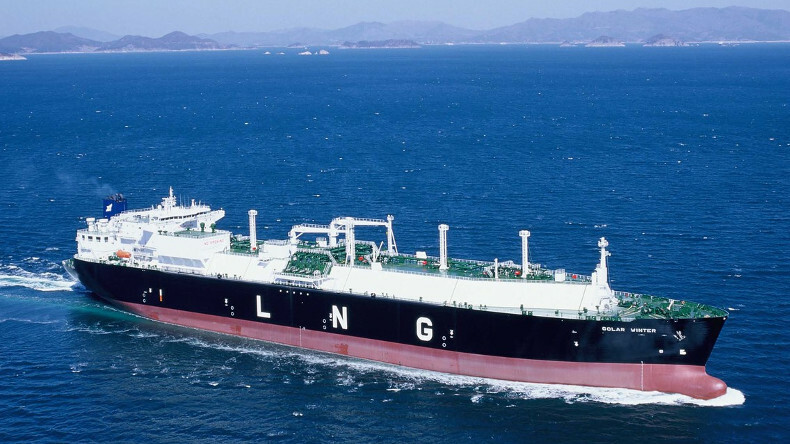 The biggest investment and the most fully baked project seems to be the some $10 billion project to build a refinery and petrochemical plant in the port city of Gwadar on the Arabian Sea. The 300,000 b/d refinery and petrochemical complex will be a major boost to Pakistan’s energy security and will also boost the growth of Gwadar port, heavily financed by Chinese state enterprises. People-to-People: The Crown Prince ordered the release of more than 2,000 Pakistani prisoners in Saudi jails, and he also announced the establishment of a hospital in Khyber Pakhtunwa in honor of the Pakistani hero, Ali Khan, who died while saving lives in flash floods in Jeddah in 2009. Protocol: Prime Minister Narendra Modi broke protocol by personally receiving the Crown Prince at the airport. Normally, the PM would send a senior official to receive a foreign dignitary like the Crown Prince. A Foreign Ministry spokesman declared on Twitter that the Modi move heralded “A new chapter in bilateral relations” and boasted of “breaking protocol” accompanied by a photo of the two leaders clasping hands. India’s Congress Party blasted the Indian PM for the reception of the Saudi Crown Prince shortly after his Pakistan visit. “By breaking protocol and welcoming Saudi Crown Prince Mohammad Bin Salman with such abundance – only hours after he promised billions to Pakistan – PM Modi has shown the country, the martyrs and every soldier in India what he thinks of their service [and] sacrifice,” the Congress Party tweeted. Investments: Saudi Arabia announced a potential $100 billion in investments in India, signing accords on tourism, housing, broadcasting, and infrastructure, among others. Of course, the $100 billion figure is largely aspirational and time will tell if it comes anywhere close, but the most fully baked project in the pipeline is again from Saudi Aramco. The state oil giant has joined hands with Abu Dhabi National Oil Company (ADNOC) and several Indian oil companies to invest up to $44 billion to build a refinery in the western Indian state of Maharashtra. The deal has hit some political hurdles as the Chief Minister of Maharashtra state has called to relocate the refinery and some analysts are suggesting that the deal’s fate could be tied to upcoming national elections in India. Saudi Aramco officials also held talks with Indian refining giant Reliance Industries for future investments. People-to-People: Saudi Arabia’s General Entertainment Authority signed deals with Indian entertainment companies to host Bollywood-style concerts in the Kingdom in 2019 as part of efforts to expand entertainment offerings. A few months earlier, an Indian cinema chain, Carnival Cinemas, announced plans to open multiplexes across the Kingdom. Protocol: Unlike Pakistan and India, China chose to maintain correct protocol in receiving the Saudi Crown Prince. He was received according to his rank. I did not detect anything above and beyond. Investments: Saudi Arabia has long been one of China’s top oil suppliers and has been the Middle Kingdom’s leading trade partner in the Middle East and Africa for 18 years. The two sides have engaged in strategic investments in the past, including Saudi Aramco’s 25% stake in the Fujian Refinery and Petrochemical Complex, dating back to 2007. On this visit, the two sides announced a new strategic investment in a similar vein: a 300,000 b/d refinery and petrochemical complex in Panjin City in the northeastern province of Liaoning. The new company formed to build the complex will be called Huajin Aramco Petrochemical Company and will be 35% owned by Saudi Aramco, and the remaining shares owned by Chinese state enterprises, Norinco (36%) and Panjim Sincen (29%). According to reports, Aramco will provide 70% of the crude feedstock for the complex that is expected to begin operations in 2024. In other news, Saudi Aramco announced that it will join hands with Chinese enterprises North Huajin and Liaoning Transportation Construction to form a marketing joint venture by the end of 2019 aimed at developing retail fuel stations across China and beyond. People-to-People: In a far-reaching move with substantive long-term implications, the Crown Prince declared that all Saudi schools will begin teaching Mandarin as a mandatory language requirement along with English.